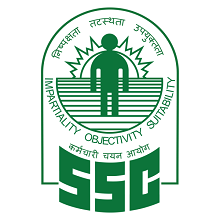 Latest Updated On 08.03.2019 :- SSC Has Released The tentative Answer Keys Of Stenographers Grade ‘C’ & ‘D’ Examination 2018. The candidates may login using their User ID (i.e. Roll Number) and Password (as per Admission Certificate) and submit representations, if any, from 08.03.2019 to 11.03.2019 (06.00 PM) through on-line method only, on payment of Rs.100/-per challenge. Staff Selection Commission has invited Online Applications for Posts of Stenographer Grade ‘C’ & Posts of Stenographer Grade ‘D’. Vacancies of Stenographer Grade ‘C’ are in Ministries/ Departments of Central Government, located mostly in Delhi. Vacancies of Stenographer Grade ‘D’ are for Ministries/ Departments of Central Government including Attached/Subordinate offices located in States and Union Territories all over the country. The Process for Submitting the Application Form was Conducted Online. The Last Date for Submitting the Online Application form was 22.10.2018. Candidates can check the Detailed recruitment from the Below Provided Link. All the Eligible Candidates was Gave the Stenographer Grade ‘C’ & ‘D’ Examination 2018 on the Date 05-02-2019 to 08-02-2019. The Exam was Written Objective Type. The Exam Was of Total 200 Marks. Total Time Duration of the exam was 2 Hours and 2 hours 40 minutes for visually handicapped candidates. There will be negative marking of 0.25 marks for each wrong answer. The Successful candidates will appear for Skill test/Documents Verification. Answer Keys for Stenographer C & D Will be Upload on SSC’s Official website http://ssc.nic.in Representations if any, are received, will be scrutinized with the help of experts, wherever necessary, and evaluation will be done with modified answer keys. Commission‘s decision regarding modification of the answer keys. SSC upload Answer Key on the website, which can be access by using candidate’s credentials. So one can check answer key for the one’s Test Form no. Candidates have to submit session, Test Form No. to Download Answer Key. More Important SSC upload Answer Key for fix duration of time so take that thing in mind. Save the Answer Key in .pdf Format & take a print out if you need it in future. Candidates can send their Objections if they feel any Answer Provided by SSC is wrong. Objection Period is very short. Candidates have to submit Objection with valid proof before the Given Time Period. Candidates are advised to be in touch with SSC website for Latest Updates regarding Result & Further Process for SSC Stenographer Exam 2019. Answer Key Download Link will be available on the official website under Home Page or at Answer Key Section. Keep In touch with us to get Direct Link for SSC Stenographer Grade C & D 2019 Exam Answer Key. Sir Main ssc stenographer grade c&d ki answer key check ni kr paya ab time expire ho chukka h. What can I do? Help! What is the format of user id and password for Stenographer Grade ‘C’ & ‘D’ Examination-2018 Uploading of Tentative Answer Key. Please let us know. Meri Answer key nhi nikal rahi. 1st shorthand skill test must be done..qki those who dont even know abt shorthand..they too fil up d form..
Is shorthand. Important for qualifying for written examination for stenographer grade c and d? Sir stenographer 2018 ans. Key kab aayegi. ? Sir ssc steno ki ans key ko open karne par ane wali error ko door kare kyoki abhi bahut logo ne apni ans key nahi dekhi hai.please sir.do it. Sir ssc stenographer ki ans key open karne par error kyo show ho raha hai esliye mai abhi tak apni ans key nahi dekh pai hu. So please is problem ko solve kare taki mai apni ans key dekh pau.apki bahut kripa hogi. Sir av answer key nhi dekhi ja skti h????? Sir, i have not challenged the questions were wrong. Shall i have been got marks for that questions are wrong? when will the answer key be updated on the website of ssc? Ssc steno k liye pahle short hand test hona chahea and then written exam.kyuki jisko nahi aata shorthand wah bhi form fill karte hai . Sir/mem ssc steno C &D 2017 ki key kis date tak aayegi ? Mam revenge inspector ki answer key …. madam aap kab tak ssc stenographer ki answer key?